Dr. Terry Westfield brings over 35 years of experience in plastic surgery to Sono Bello. He is a meticulous, caring surgeon dedicated to exemplary patient care and excellent results. Dr. Westfield is double board-certified in plastic surgery and otolaryngology. Dr. Westfield is a diplomat of the American Board of Plastic Surgery, and also a diplomat of the American Board of Otolaryngology. He is a member of the American Society of Plastic Surgeons and Phi Beta Pi Medical Fraternity. After graduating from Wayne State University School of Medicine, Dr. Westfield trained extensively in both plastic surgery and otolaryngology, completing residencies in both specialties. Prior to beginning his private practice, Dr. Westfield served as a surgeon at Lackland Air Force Base and Brooks Air Force Base in San Antonio, as well as overseas. After serving his country, Dr. Westfield began his plastic surgery practice in San Antonio, where he has lived ever since. 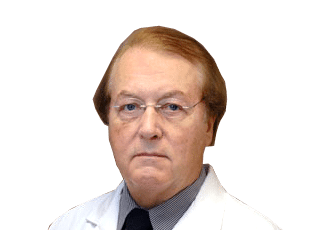 Dr. Westfield is a highly skilled and experienced plastic surgeon who brings a warm bedside manner to his patients, and is always open to your questions and concerns. Dr. Westfield’s favorite charity is the Wildlife Rescue Shelter. His hobbies include art, classical music, history, hiking and sailing.